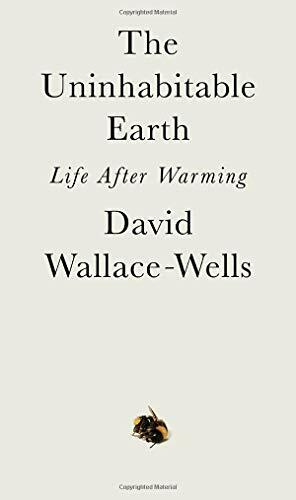 DAVID WALLACE-WELLS: I basically don't think that denial is as big a problem as many in America do. The data show now that 73% of Americans believe global warming is real and happening now. 70% of them are concerned about it. You can get an enormous amount politically done if you have the support of 70% of the country. I think those numbers are also moving, and so they'll grow over the coming years. For me, the much bigger problem is that even though Americans are concerned about climate change, nobody wants to spend as much as $10 a month to address it. The median commitment, a recent poll found, was just $1 a month. So while people are concerned about climate change, they're not concerned enough. And my personal perspective is that the main goal for climate action is to make those people who are concerned, but still fundamentally complacent about the issue, to be really engaged in a way that they prioritize climate change in their politics and their voting and make sure that our leaders think of climate change as a first order political priority, not a third or fourth order political priority, and maybe even a political imperative that governs all others, because that is true. If you care about economic inequality, if you care about violence, basically every political thing that you could worry about in this world bears the fingerprint of climate change, and will be made worse if climate change continues unabated. So addressing any of them on some level means addressing climate change, and that's the perspective I think we really need to have or more of us need to have. There is a real concern about preaching to the choir, I don't think of that as being an issue of people like me, that is people who were up until quite recently aware of climate, worried about it, but who didn't orient their lives around it. I think that there's a bigger risk of advocates and activists talking to one another and not addressing the sort of median concerned liberal, who is worried, but fundamentally complacent. That, to me, is the main target of messaging. And when I look around the world, I see many, many more people like that, many more societies like that than I see people who are really deeply committed or who are really deeply in denial. And I say that as someone who felt that way myself until quite recently and who was awakened from that complacency by fear and alarm, which is one reason why I think that talking bluntly about the science and everything that it projects for our near-term future is really important. We shouldn't shy away from the projections that science has made for us. We should look squarely at them as we can be, even if they horrify us, because fear can be mobilizing, can be motivating. We know that from environmental history. We know that from advocacy history. In this case, I don't think it needs to be the only way that we talk about climate change, but we shouldn't be scared of fear. We should know that the impacts are terrifying and that we need to do everything we can to avoid as many of them as we can. Climate change denial draws headlines. But is it actually an obstacle to climate action? A great majority of Americans say they're concerned about climate change. The real roadblock is our unwillingness to pay money to help stop climate change.